Part of the Art of Remembering exhibition held at the Rheged Centre is the above work by the artist and printmaker Dawn Cole. 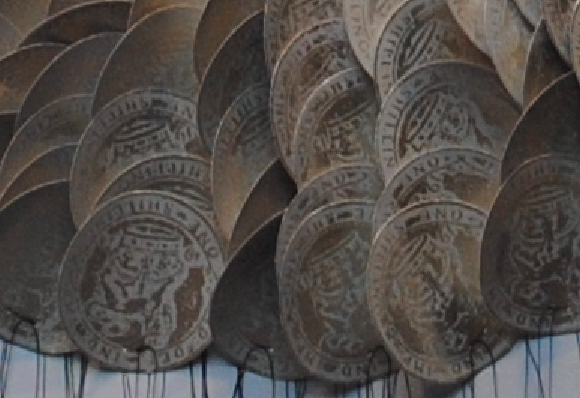 Created in 2012, the work is entitled Tails, You Lose and consists of individually printed shillings made from heat transfer foil and paper. 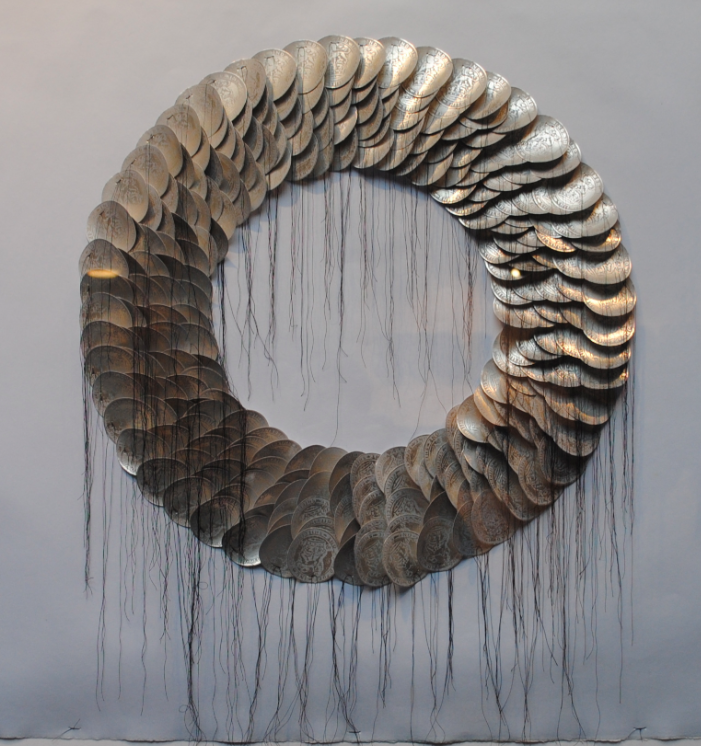 The work is symbolic of the floral wreath commonly laid at remembrance ceremonies and makes reference to the phrase ‘Take the King’s Shilling.’ This well documented phrase refers to enlistment to the armed forces which dates back to the end of the English Civil War.